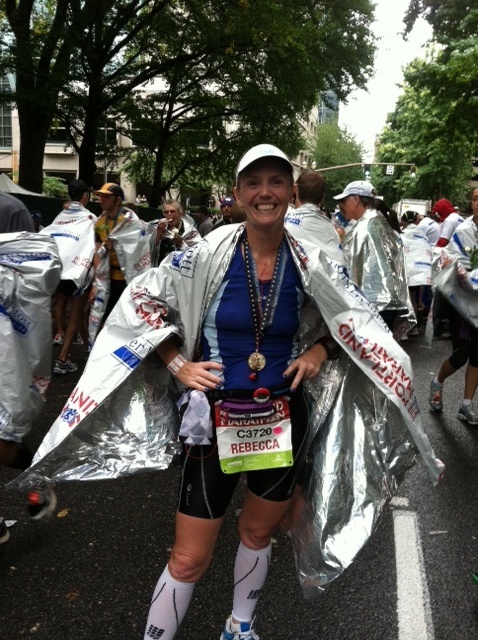 My “A” marathon of the year was this month, the Portland Marathon. I had been training for it since July and had realized in the last 8 weeks of training that I was really close to Boston Qualifying. With that in my head I gave it all I had and successfully qualified for Boston by running 3:34:43. I had a very difficult recovery because of what an intense effort it was for me but I was finally feeling pretty good about 2 weeks later. My overall distance and time was down quite a bit this month due to the taper before the marathon and the recovery after. I am shocked to see I still ran over 100 miles for the month! This whole month was really eaten up by the marathon. But I think it was worth it! The rest of the month was just about trying to maintain since I have another marathon the first weekend in November and my first 50K on November 20th. I am really looking forward to the 50K. I think I will be challenged in a way I never have before. 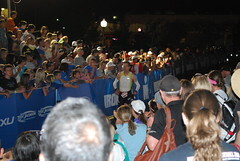 I think it will be a good test of my will as I get ready to start training for my first Ironman…which I am registered for!! 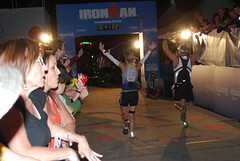 Thanks to my Cook Train Eat Race Team, I am registered for Ironman St. George on May 5, 2012! I would say that if you are at peace with your life/self than all those other things fall into place easily. November is going to be great. I am getting there! Thanks Jason, for everything! 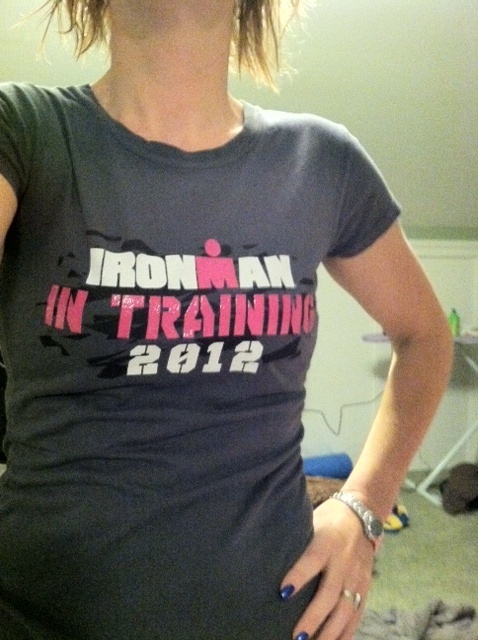 I am loving the shirt…and that makes two of us!